We've all drawn before, but few of us realize just how much doing so on a regular basis can benefit our lives. 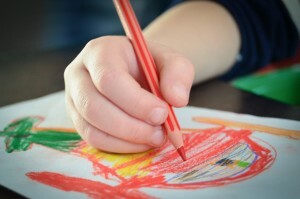 If you have a young child that loves to draw at home, in this post, you'll find a few reasons why you should encourage them to do it even more. Children have a lot of energy, fresh ideas, and opinions they need to get out there, and drawing gives them the perfect opportunity to do so. From the topic to the colors, the shapes, the size, etc., they are creating and are in charge of their own project. Concentration, planning, executing, and problem-solving, are all skills that could boost your child's advancement later down the road, and they are all exercised when they are simply drawing in their room. Those small movements you make with your hands when you're drawing (from how you hold the pencil to how much strength is applied to it) can impact your life in more ways than you know. Drawing helps them master these skills completely. The ability to understand, process, and assimilate visual stimuli is also developed when your child draws since they have to work with colors, shapes, and spatial arrangements in order to create the image they have in their mind. The Tutoring Center, League City TX and their early age tutoring can guarantee that your young child will have a more successful experience once they enroll in primary school. Call (281) 337-2800 to enroll them in early age tutoring in League City TX or to request a free diagnostic assessment.